Take home a dog or cat to be your new best friend. We have standard adoption rates, but we also offer specials from time to time. Watch Facebook and our website for more information. When you first arrive at HOPE Humane Society, please check in with the staff at the front desk. 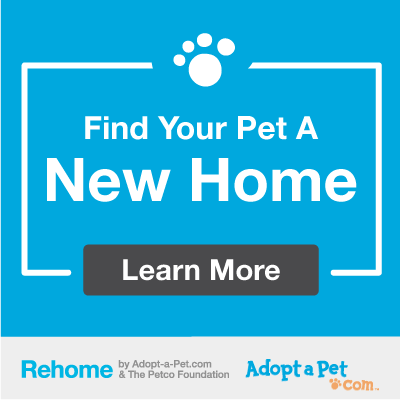 They can help you with animal adoptions, finding your lost pet and more. When looking at the animals, if you believe you’ve found a dog or cat that might be the perfect match for you, take note of the animal’s name and kennel number you wish to visit with and inform the front desk upon your return from the adoption rooms. Feel free to ask a staff member for recommendations on animals that might best suit your personality and lifestyle as well. If you’re ready to adopt your furry friend and give them the forever home they deserve please complete the adoption application and bring it to the shelter to get started. Do I really want to be dependent for the next 10-15 years? Do I have patience to house train an animal? Do I know how to house train an animal? Do I want to be involved in basic obedience training that will make life easier for both of us? Do I have the spare time in my day or evening to spend returning my pet’s companionship needs? Who will care for my pet when I am away? What happens if I am late getting home? Can I commit to exercising my dog at least twice a day? Can I afford approximately $300 per year in basic health care costs (annual shots, check-ups, heartworm preventative)? Can I afford the unexpected expenses for illnesses or accidents? Am I prepared to perform, or can I afford grooming, bathing and dipping regularly? What if fleas or ticks become a problem in my yard or house? Does my budget allow for necessities such as quality pet food, collars, leashes, bowls, carriers and toys? What if the personality or size of the pet as an adult is not what I wanted? Is anyone in my family allergic to cats or dogs? How will life be different with a young, small puppy or kitten or a larger adult animal? What if my pet digs in my yard or scratches or claws at the furniture? What if my dog barks or howls a lot? Am I willing to clean up the messes my pet creates? What happens to my pet if I move? Does everyone in my family or household like the idea of having a pet? What if I have children? How will the affect my pets?